dependency as a clinician, researcher, and teacher for over 12 years. 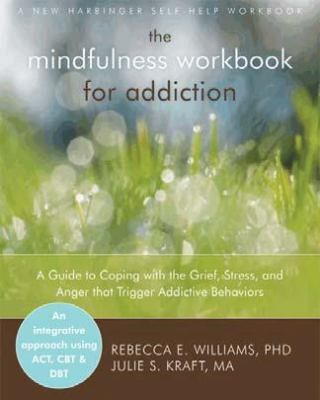 Rebecca E. Williams, Ph.D., received her doctorate in Clinical Psychology from the University of California, Santa Barbara and holds a masters degree in Counseling and Consulting Psychology from Harvard University. Dr. Williams has published in the areas of substance abuse, eclectic psychotherapy, treatment for childhood sexual abuse, and bridging the gap from science to practice in clinical psychology. She has special interests in women's issues in psychiatric treatment. Elizabeth B. Yost, Ph.D., ABPP, is currently in private practice in San Luis Obispo, California. She is a Diplomat in Counseling Psychology of the American Board of Professional Psychology and is the co-author of three books: Group Cognitive Therapy (with L.E. Beutler, M.A. Corbishley, and J.R. Alexander, 1986), Career Counseling: A Psychological Approach (with M.A. Corbishley, 1987), and Effective Personal and Career Decision Making (with K. Bartsch and K. Girrell, 1976). Formerly, Dr. Yost was Associate Professor in the Departments of Psychology and Education at the University of Arizona; Research Associate in the Department of Psychiatry, Arizona College of Medicine; and Visiting Associate Professor in the Counseling/Clinical/School Psychology Program at the University of California, Santa Barbara. Kathleen M. Patterson, Ph.D., is a Staff Psychologist at Napa State Hospital in Napa, CA. She received her training at the University of California, Santa Barbara. Formerly, Dr. Patterson was the Program Director for The Avenues, a regional psychosocial rehabilitation program designed to facilitate the transition of chronically mentally ill adults from locked settings back to their home communities. Julie S. Kraft, MA , received her master's degree in marriage and family therapy from the University of San Diego's School of Leadership and Education Sciences. She has provided counseling to veterans and their family members at the Veterans Affairs San Diego Healthcare System and has provided psychotherapy to individuals, couples, families, and groups in community settings. In her current position with Sharp HealthCare, she treats clients struggling with both addiction and mental health concerns. She lives and works in San Diego, CA.Check out her website at www.mindfulnessworkbook.com . Who Can This Book Help? Why Is Your Thinking Misleading? Why Look at Old Losses?